Everyone should start their planning here, Print out your free moving checklist, compare a few moving quotes from top movers by using our moving cost calculator form then follow all the steps listed in your moving checklist for a smooth, affordable move. 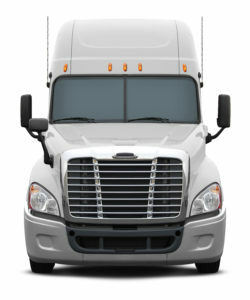 Compare Your Moving Quotes & Save! Welcome to The Official Moving Checklist Site! If you’re new here, then know that our name says it all. We understand how stressful moving can be, so we’ve made it our mission to take the guesswork out of moving day. Are you worried about forgetting something when you shop for packing supplies? Or, perhaps you are completely confused about where to even begin. No worries, our Moving Checklist is 100% free and comes with absolutely no obligations attached. We do, however, know that every big move has a budget. For this very reason, we have developed a large network that includes hundreds of moving companies located throughout the United States. Each one is licensed and insured, and they are willing to give free moving quotes online, face-to-face or on the phone to anyone who asks. Moving involves so much activity that it can be easy to get frozen by indecision. With your moving checklist in hand, you will know exactly where to start with sorting your belongings. From packing the kitchen to holding a garage sale, you have a lot on your plate for the next couple of weeks. Staying organized with every aspect of your move will make it far easier when your boxes start coming off of your moving truck. Since our team has experience with all kinds of moves, you can trust that anything you need to do will be right there on the moving checklist. Friends, family members can help you move, While keeping the lines of communication open will help some, it is far better to put it all in writing. You can choose to print a single copy of your moving checklist for everyone to use during the move. Just put it in a central location, and let everyone know it is available. Alternatively, you can print multiple copies and compare notes at the end of the day. Moving is overwhelming, yet it is absolutely possible to look at your move from another angle. start step-by-step instead of focusing on all of the work that needs to be finished. After all, clearing out one shelf in the kitchen is far easier than thinking about moving every pot and pan you own. Although everyone has a different method, moving through one room at a time will help you avoid missing out on an important step. 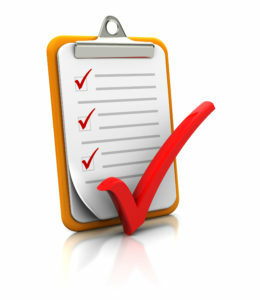 Having a moving checklist in hand will also help you track your accomplishments. Use your checklist to go back over all of the work you have done at the end of the day. This way, you can congratulate yourself on your progress, and make plans for achieving even more the next day. Whether you are moving the next street over or clear across the country, having a reputable moving company on your team will literally take the load off of your shoulders. The cost of moving can vary significantly depending upon the size of your residence, amount of property you own and special circumstances. If you have fragile items, such as a flat screen television or antique furniture, then you should also mention that to your movers, too. Getting your free moving checklist is so simple, and it will save you so much time on your move! All you have to do is click on the Start button right here, and fill out a short form that gives us the information we need to customize your checklist. Then, check your email and print out our checklist that we will send with no obligation also visit our FAQ page. How Do I Get My FREE Moving Quotes? 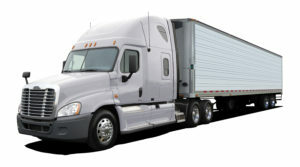 Tell us about your move, What zip code are you moving from & to, move size and estimated move date. Expect call and emails from moving companies about your move. Open your email box, look for a subject line “Moving Checklist” print your free printable moving checklist, get ready to receive calls and emails from professional movers nearby then its up to you to pick the best moving company that suites your needs & moving budget.